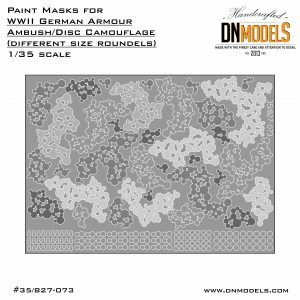 was applied during the late months of the Second World War and was not the standard pattern used on the German and Italian Armor. 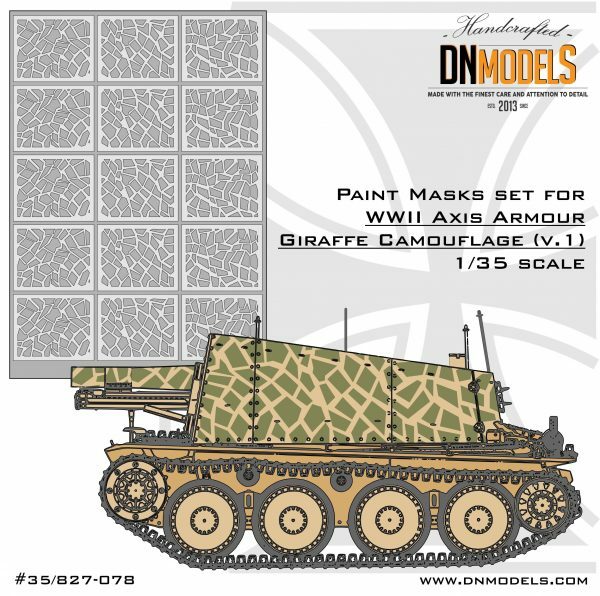 Giraffe camo was used on smaller vehicles predominantly. 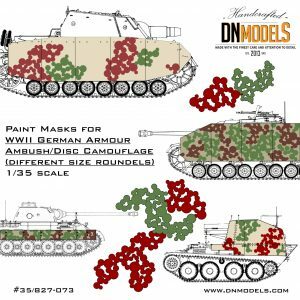 Hetzer, Grille, Marder as well as some Italian tankettes were the most popular applications. 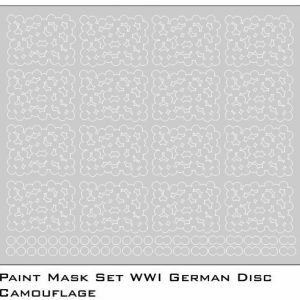 However, such camouflage is suspected to be used on larger vehicles such as Panther tanks, StuGs and Jagdpanzers. 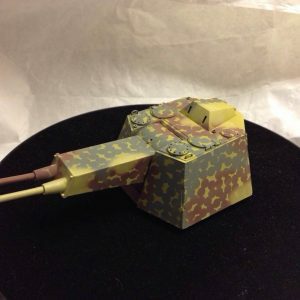 Nevertheless, Sd.Kfz. 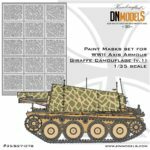 138 is the vehicle that became famous with its Giraffe camo, mostly because of some reference photos showing clearly the pattern used on such tank. 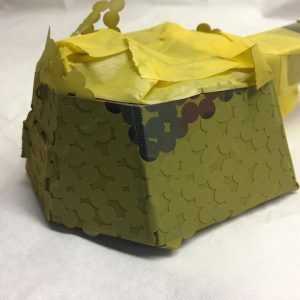 replicated the skin of a Giraffe, although on the reference photos that survived it is unclear were the edges sharp or soft-edged. 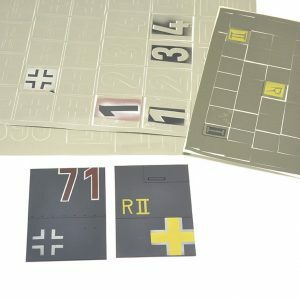 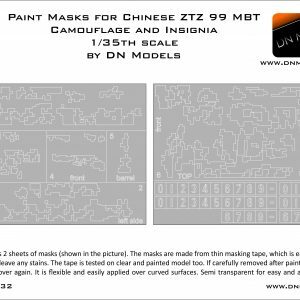 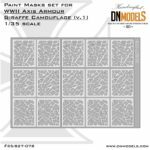 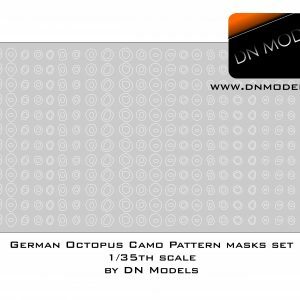 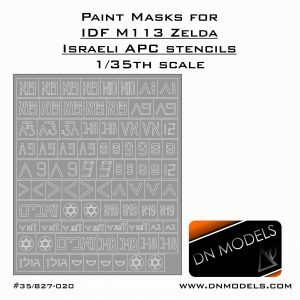 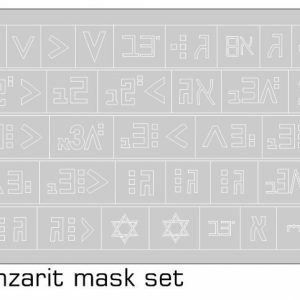 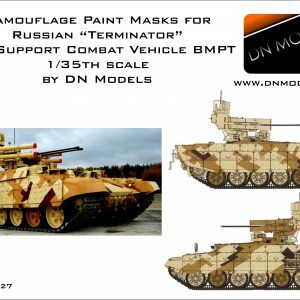 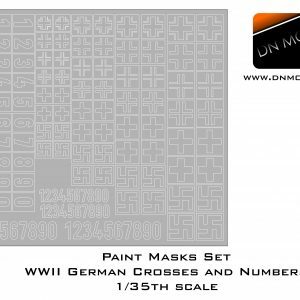 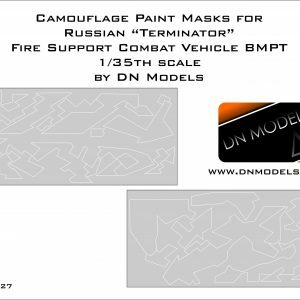 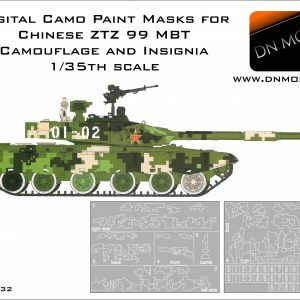 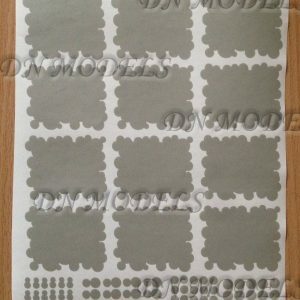 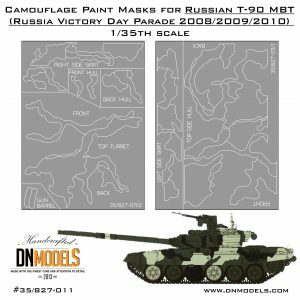 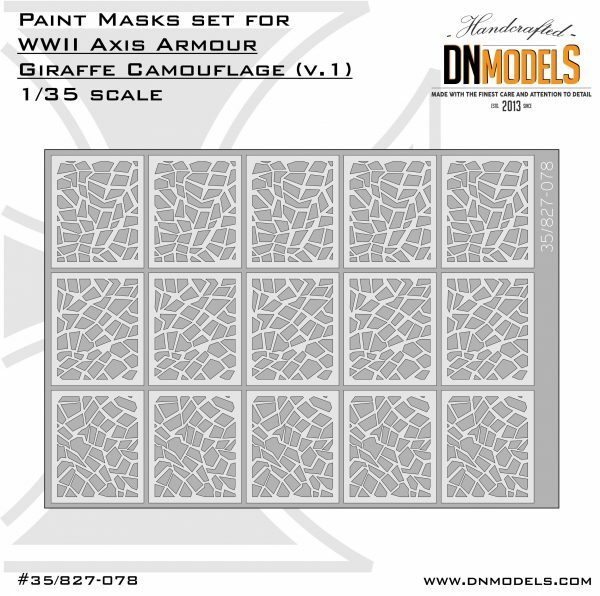 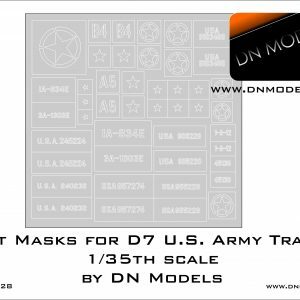 This paint masks set by DN Models allows for both applications. 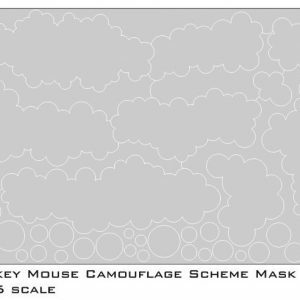 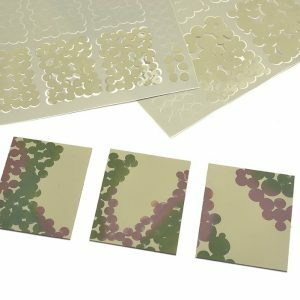 If you’d like to make sharp edge camo patter the masks should be placed directly over the surface, while if you’d like to replicate softer edges, some spacing can be used between the surface and the masks.